JJLecaros wrote: just got these to get started on upping my display. Very impressive autograph collection JJ ... Congratulations! thanks have a few more cases to buy for the rest. Have so many ideas from this thread thanks everyone. AshleyWilbanks wrote: Hey RoytotheOiOI, how tall are your walls? "Oh they are 14 Pop high" LOL, fantastic man, fantastic! anime23 wrote: Finally decided for the sake of room I would take some out of the box. 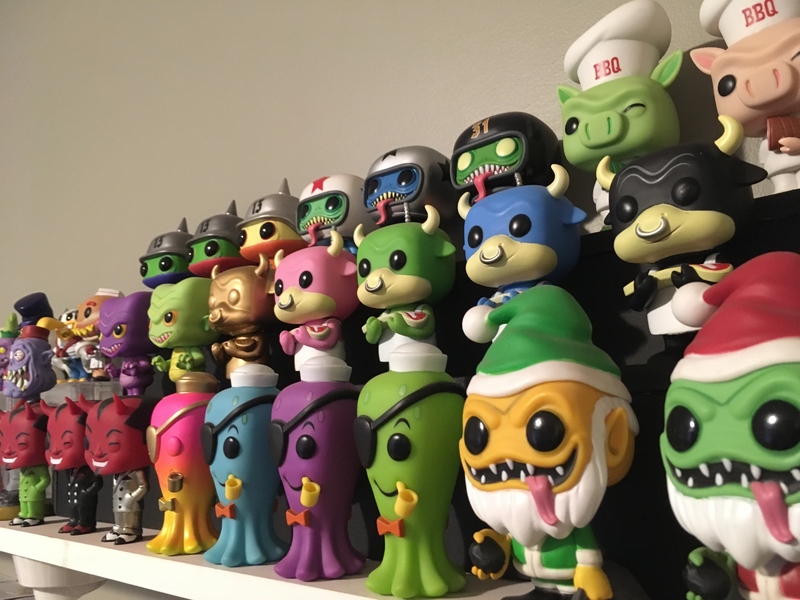 I am pretty much an in box collectors but these are the ones I would never get rid of. The rest are on shelves all over the house and even big Tupperware containers for safe keeping. 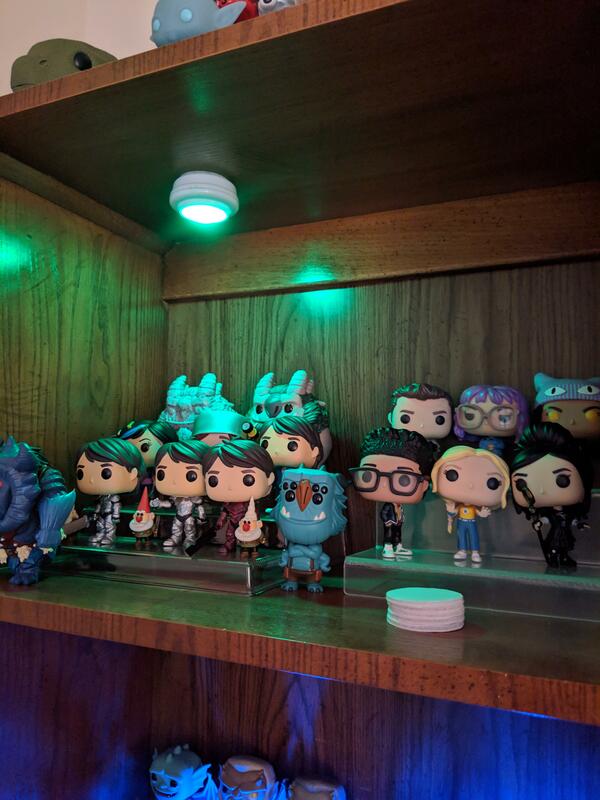 I am really digging the lights. 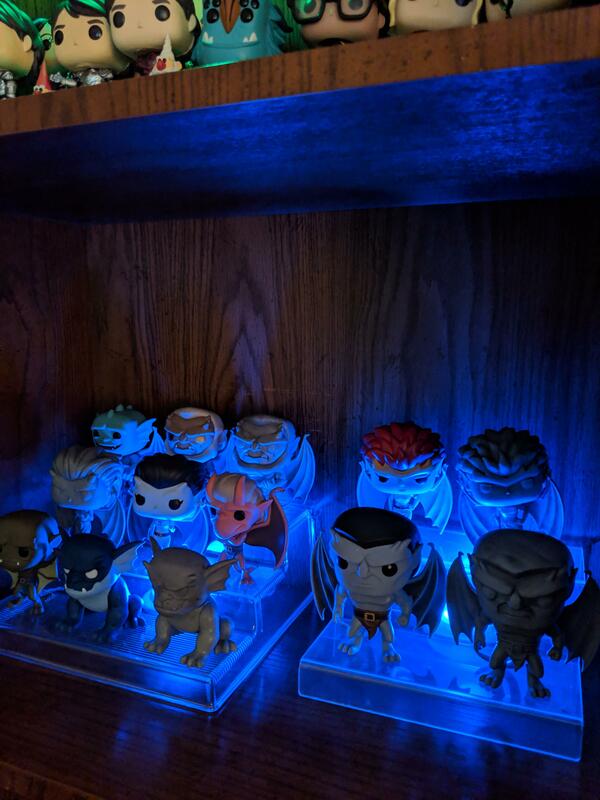 Been debating for months if I should get the Gargoyle pops. Loved that show. IT was one of those that I harassed them about so had to go all in. Glad I was able to get her in the Black Friday box thanks to a friend. AlexFunkoPop wrote: Here is my stuff.... 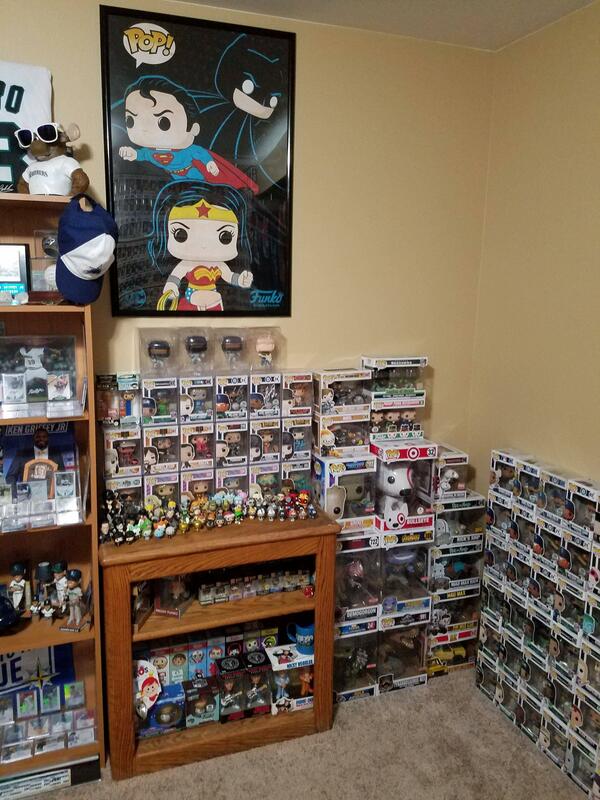 Partially only..
RoytotheOiOi wrote: My office, now mostly Funko room after some rearranging. 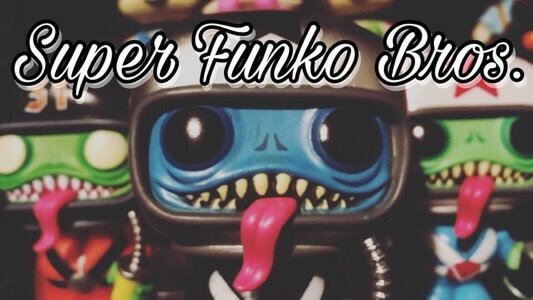 Wall 1: 10"Pops, Pop Rides, mystery minis, autos, protos and other Funko items. 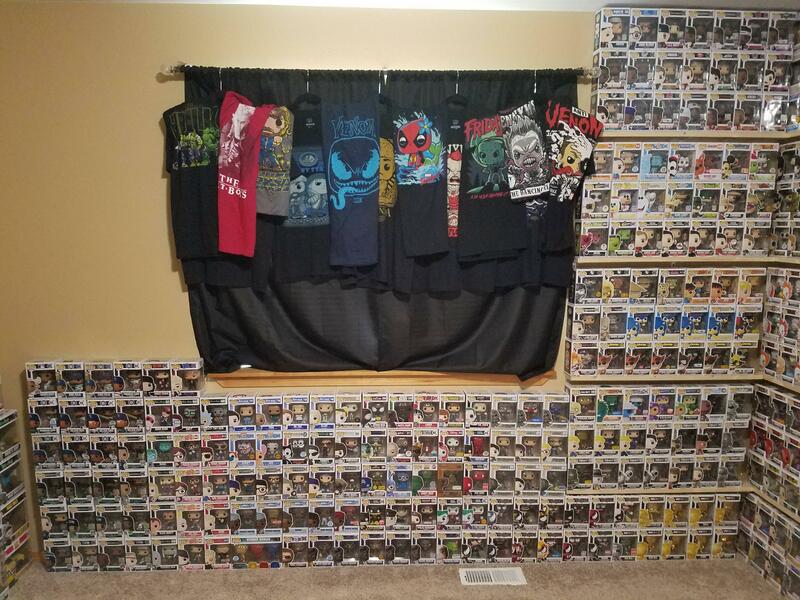 Wall 2: Pops and shirts. 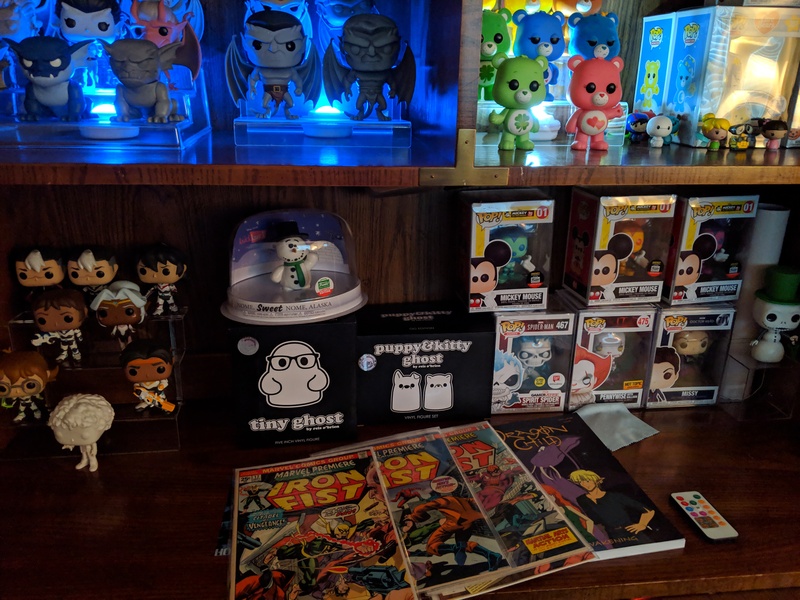 Wall 4: More Pops, movie moments, 6" and some music memorabilia. Very impressive collection. 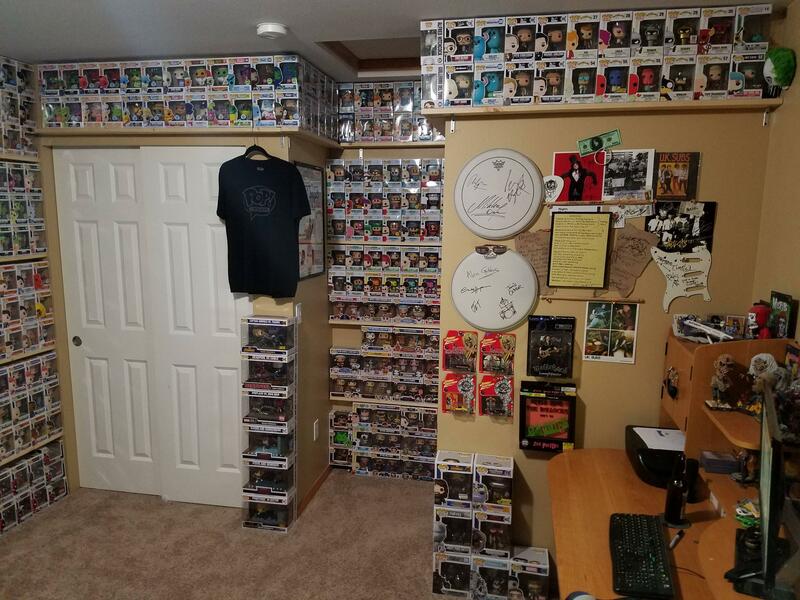 A collection that big takes dedication. 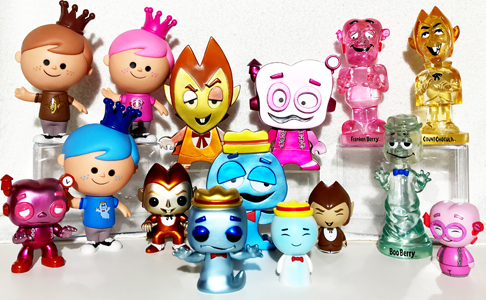 Just made some custom risers yesterday to make room for upcoming Spastik and original character pops! Still need to make one more to fit them all! Anyway, that last part might change, and I may well get a place to expose my upcoming collection soon. The thing is, I've inherited non-negligible assets from my late grandfather a couple months ago, and my wife and I have been looking at this house in Greece for us to buy. There will be all of the place I need, and I work either from or or during trips, so the location's not an issue. 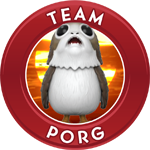 ... Oh, and it's in the EU (so far?) so I'll be able to order stuff from any European shop, it's not like if it was a house in North Korea. Thanks I am severely behind on building the rest of the risers. I have to build four more. I think with new waves of GOT/HP my one Detlfof will be almost full which is crazy to think about. What do you use to build risers? I think I need to start building some of my own. 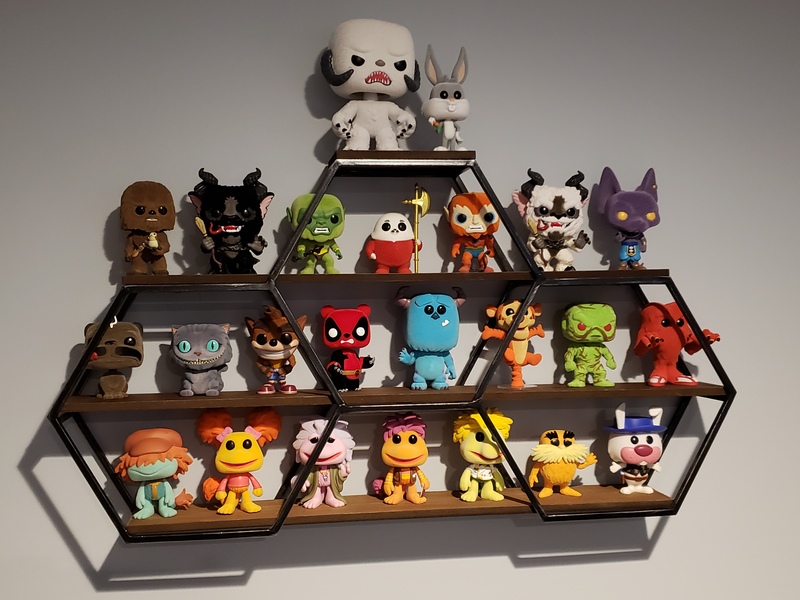 My new flocked display in my basement! Such colorful collections and very well organized! Keep it up! Great riser display! Love all the colors of the pieces from this line! Very, very cool! Well done. Looks awesome!..any concerns of basement dust on the flocking? not judging..im an in boxer so just curious for future reference..
cmasicampo wrote: Great riser display! Love all the colors of the pieces from this line! Thanks! I couldn’t agree more! 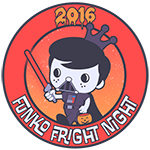 Usually color variants are meh, but bring on all of the variants when it comes to these pieces! Concerns, yes, but no experience with it yet. This display is only a few weeks old so we will see! That's a cool shelf. Was that just sold at Ikea or something? Way to look at it and see how it would be good for pops. Good job! I think it was at Home Goods or something. My wife actually bought it for me for Xmas. 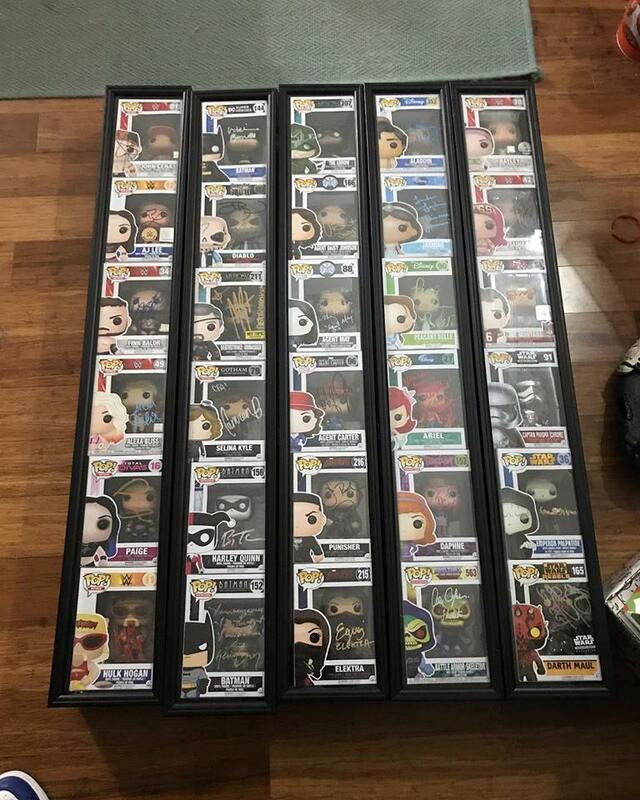 She thought that it would be good to display some Pops when she saw it. JJLecaros wrote: thanks have a few more cases to buy for the rest. She's a keeper!!!! Really great idea. Looks awesome. Schl0 wrote: I moved my entire Walking Dead collection back into their boxes and stacked on some other shelving. 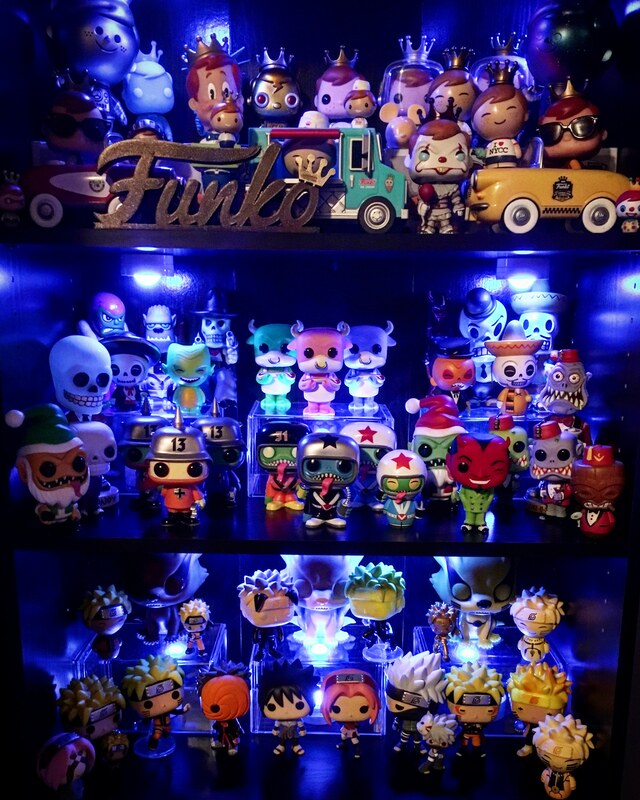 Made some room for my Freddys, Spastik pop collection and my Naruto set! Added some cool lights and it’s good to go! This is one of the nicest ways to present a collection I have seen. It is truly outstanding. Thank you for taking the photos and sharing them. well that looks freaking amazing !!!!! wow !! I cant believe how creative some of you are !! 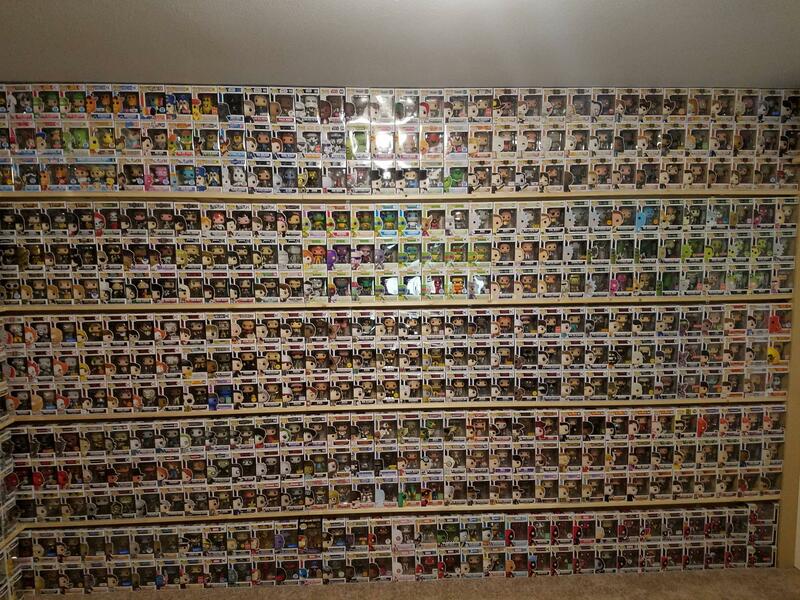 I'm actually flabbergasted by how incredible some of your collections are displayed !! Retail is usually 60 so if you can get it for 30 then you are getting a good deal. Sometimes they have coupons that stack on top of the sale price so you can get it for lower but thats once in a blue. Pop_A_Razzi wrote: I cant believe how creative some of you are !! I'm actually flabbergasted by how incredible some of your collections are displayed !! they are $60 but i usual wait till the 50-60% off coupon/sale.thye fit great you just have to remove a thin piece of wood from the lid for them to to be bale to close. thanks for the info I am going to go check them out! Ooook, there is a TON of info in here, and although I did look around, I'm hoping someone who has done some recent buying/research can confirm for me. I'm hoping to get a few of the clear acrylic shelves for my two detolfs with my tax return. 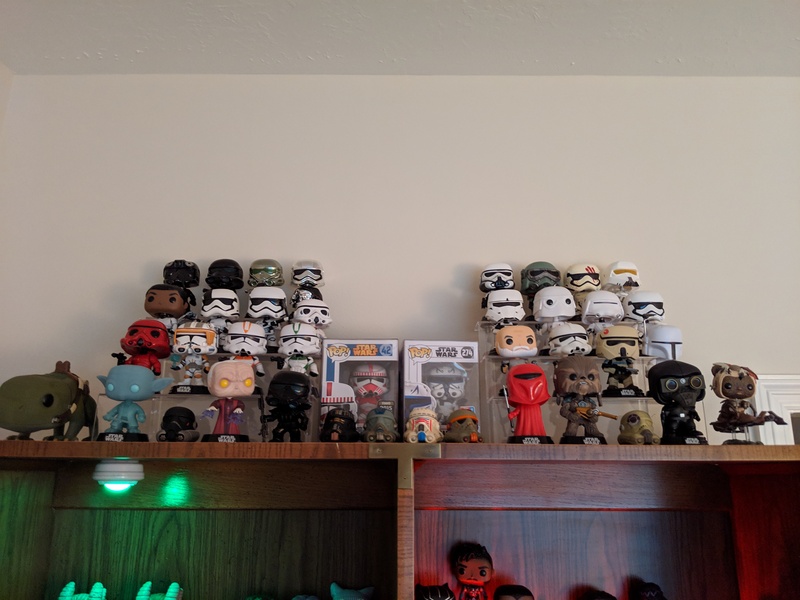 As of right now I just pop boxes as risers in them, but I was hoping the clear shelves would make the display look a little better. Are the original ones in this thread still the best option for the price, or are there others out there I'm not aware of? 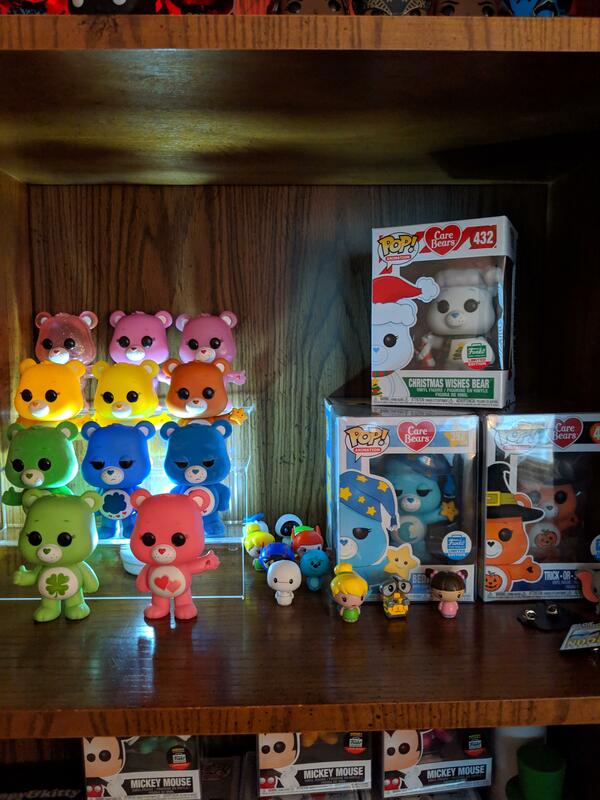 I really want to get them, but I also need to maximize how many pops I can fit, which is difficult sometimes considering the different sizes of even the regular ones. 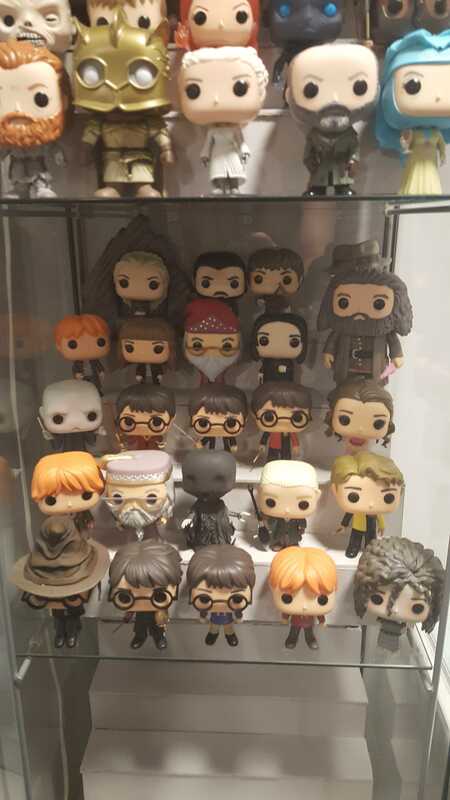 I'd looked on Amazon mostly, and prices aren't great, but I have no skill to build my own shelves and pop boxes eventually warp a little, so any help pointing me in the right direction, or if there isn't anything better than previously mentioned, would be appreciated. Jezter wrote: Ooook, there is a TON of info in here, and although I did look around, I'm hoping someone who has done some recent buying/research can confirm for me. I'm hoping to get a few of the clear acrylic shelves for my two detolfs with my tax return. 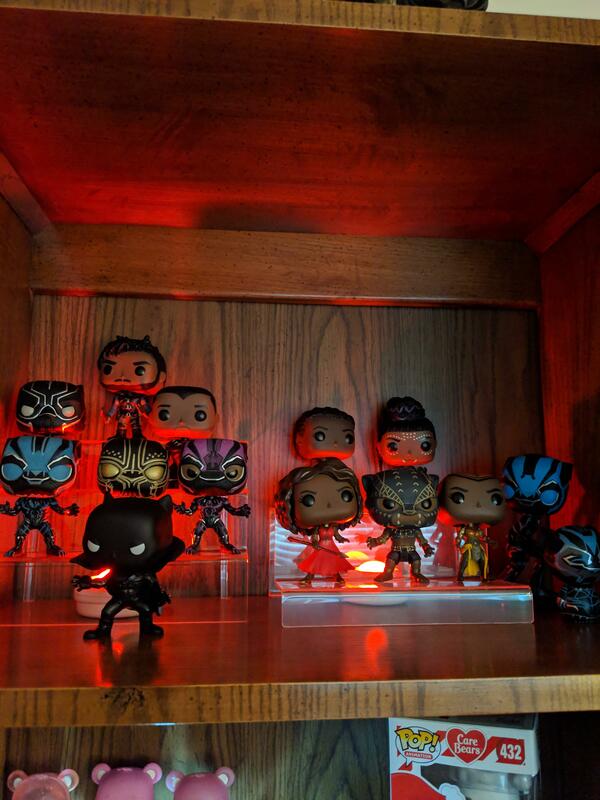 As of right now I just pop boxes as risers in them, but I was hoping the clear shelves would make the display look a little better. Are the original ones in this thread still the best option for the price, or are there others out there I'm not aware of? I really want to get them, but I also need to maximize how many pops I can fit, which is difficult sometimes considering the different sizes of even the regular ones. 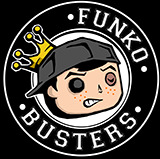 I'd looked on Amazon mostly, and prices aren't great, but I have no skill to build my own shelves and pop boxes eventually warp a little, so any help pointing me in the right direction, or if there isn't anything better than previously mentioned, would be appreciated. it is basically what you have seen. Clear plastic ones cost money especially if you want ones that will maximize the pops you can fit. I am not very handy but I decided it was worth building my own even with purchase of tools and supplies. Think times 8 when buying the acrylic ones. Mine are wood though and not want you want. Sorry not more helpful but I have looked everywhere and hated all prices for the clear ones. This is really a great shelf. Love all the flocked items together too. Nicely done!! chincoteague1 wrote: This is one of the nicest ways to present a collection I have seen. It is truly outstanding. Thank you for taking the photos and sharing them.